Securing a sole trader mortgage can be a smooth and easy process, but this isn’t always the case. We’ve spoken to many sole traders who have been unable to gain mortgage approval. This is because they’ve either applied to an unsuitable lender or the application wasn’t presented in the best manner. It’s important to remember that the market is packed full of lenders. There are lenders that specialise in different mortgage types, such as bad credit, self-employed mortgages, remortgages and so on. Self-employed mortgage lenders typically consider applicants who are self-employed, regardless of whether the borrower is a sole trader, director or partner. That being said, some self-employed lenders may be better suited for a sole trader mortgage as opposed to a director mortgage and vice versa. Applying to the right lender from the offset is vital in successfully securing a sole trader mortgage. This article will offer an insight on how to find the right lender, along with other helpful information on sole trader mortgages. How long have you been a sole trader for? When applying for a mortgage, a sole trader must have at least 12 months trading history. If you have more trading history, then your assessment is usually based on the last 2-3 years. Lenders assess trading history to calculate your affordability based on any income generated. The more history you have documented, the better. A contractor who is registered as a sole trader may not need 12 months trading history to get a mortgage. Some lenders allow contractors to use day-rates to calculate affordability. There is a government mortgage scheme, known as a CIS mortgage (Construction Industry Scheme), which is aimed at contractors working in construction. In this scenario, it’s possible for contractors to secure a mortgage with just 6 months of trading history. In addition to this, lenders calculate affordability on gross income as opposed to net income. This is advantageous, as it allows applicants to maximise their loan amount. Read more: How to get a CIS mortgage. As discussed above, lenders will assess your trading history. To do this, lenders will need your latest tax returns, usually in the form of a SA302. As long as you filed your income with the HMRC via a self-assessment, this should be enough for most lenders for them to consider giving you a mortgage. Some lenders may request that sole traders have filed their accounts via an accountant, but it is rare. Providing your latest SA302 documents to a lender will allow lenders to calculate your affordability. SA302 documents can be downloaded online from the HMRC portal or can be requested by post. Lenders generally use the net profit amounts declared to assess affordability. This can sometimes pose problems, as self-employed applicants aim to legally declare as less as possible in order to reduce annual tax bills. If you find yourself in this position, there are lenders that can assess affordability based on gross income or total income received. In addition to SA302 documents, lenders will request standard documents, such as proof of address (phone bill, council tax bill, utility bills), photo ID and bank statements. Proof of address and photo ID won’t affect your mortgage in any way unless you’re unable to provide these documents. Bank statements can sometimes have an effect, especially if your outgoings are extremely high in comparison with your income or you have large outstanding credit card debt. How do lenders assess sole trader mortgages? Loan to value – Higher deposits will always be favourable to lenders when compared to lower deposits. An applicant that needs a 75% LTV mortgage will often have more lenders to choose from when compared to an applicant going for a 90% LTV mortgage. The LTV you’re applying for is the basis on which lenders will start their assessments. Being a sole trader doesn’t mean that you’ll need a higher deposit than someone who is employed. The only time lenders may request a higher deposit is because of other circumstances such as poor credit or low income. Trading history – The amount of trading history you have will make up part of your mortgage assessment. Lenders will request at least 12 months trading history, with some lenders requesting up to 3 years. Trading history allows lenders an insight into your self-employment and whether or not it’s sustainable. Lenders are often more confident lending to applicants who have been trading for a number of years when compared to a sole trader who has recently become self-employed. Affordability/Income – Lenders need to be confident that you can afford to repay the mortgage you’ve applied for. This is why lenders always assess the income of borrowers. This is the same for any mortgage application, irrespective of their employment status. The only difference is the method lenders use to assess income for sole traders. The income from a sole trader is calculated from a SA302. If you’ve been trading for several years, the majority of lenders assess the average income earned over the past 3 years. Other lenders may only use figures from the past 2 years to calculate your average income. That being said, there are lenders that will just request your latest SA302 to assess your income. Type of lender – As lenders assess mortgages in their own unique ways, some lenders can offer better deals than others. Some lenders will lend up to 5x your income, with other lenders 4x and some at 3x. There are lenders that may even offer more than 5x your income, it all depends on your individual circumstances such as deposit amount and the security that the lender has. Being a sole trader won’t affect the rates you’re offered. The same mortgages rates are available to those who qualify, regardless of employment status. If you’re a sole trader and meet the criteria for a mortgage, you’ll be eligible for the same mortgage rates as everyone else. There are specialist self-employed lenders designed for really tricky applications. Specialist self-employed lenders may be required due to low income, little account history or bad credit for instance. If you do require a specialist lender, then the rates offered may be higher than average. Getting a commercial mortgage as a sole trader doesn’t need to be difficult, but it can be confusing. A commercial mortgage is a loan used to either purchase a commercial property or a loan to fund the venture itself. If you’re a sole trader and need a personal mortgage, this isn’t classified as a commercial mortgage. The information in this article relates to personal mortgages. Learn more about commercial mortgages here. Having adverse credit doesn’t mean that you won’t be eligible for a mortgage. In fact, there are a number of lenders that specialise in adverse credit mortgages. Being a sole trader doesn’t put you at a disadvantage and are often offered the same rates as employed applicants. Even with 12 months trading history, there are lenders that may still consider giving you a mortgage. 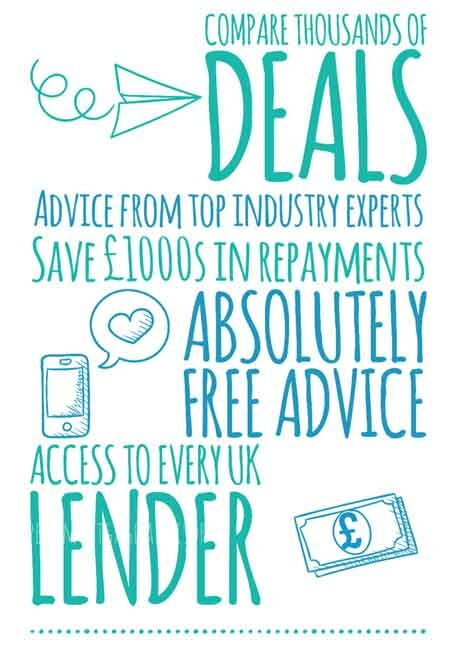 You can make an enquiry with a self-employed specialist who will call you back to get a greater understanding of your financial position and mortgage requirements. 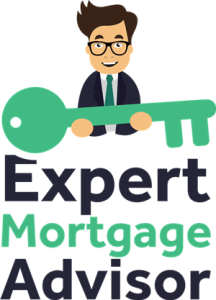 Our advisors specialise in self-employed mortgages and understand lender criteria in great depth. Although you may be able to secure a mortgage without an advisor, having an advisor can ensure you’re getting the best deal that you’re able to qualify for. This is because our advisors have access to every lender, in addition to exclusive mortgage deals. If you’ve recently become a sole trader, then you may benefit from utilising the expertise of an advisor. An advisor can ensure your application is structured the best way and can also approach the right lenders based on your circumstances.